The Kenya ICT Action Network (KICTANet) in partnership with the Global Partners Digital (GPD), is undertaking a project to promote the Access to Information policy that was passed in 2016. The project seeks to use ICT to enhance policy impact by building knowledge and capacity among civil society organizations and bloggers in Kenya on the mechanisms for seeking information. Two of the dominant values of the constitution is the participation of people in the running of state affairs and enjoyment of fundamental human rights. Article 10 of the constitution demands for public participation in every policy development processes. The value of public participation is also supported in article 35 which provides for freedom of to access information, requiring the state to publish and publicize important information affecting the nation, and provides for the right for citizens to access information held by the state. Article 35 also touches on other human rights that may depend on access to information held by other parties. 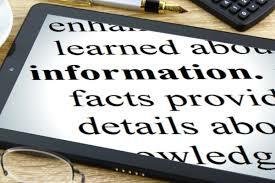 It further gives the right to access information that affects a citizen and the right of modification of untrue information that affects a citizen. In effect, among other rights, it directly touches on freedom of expression which is defined as the right to seek, receive and impart information. Access to information allows citizens to understand and participate in decisions made on their behalf. It also promotes policy impact, especially where policies largely depend on behavioral response; eg elections processes and public health. To comply with the provision of the act, government institutions have restructured their websites to provide for repositories of important documentation for public access and scrutiny. Good examples are the judicial Commission and the IEBC. However there has been reluctance by public officers to release information to public upon request for various reasons among which include: limited resources and knowledge of how to share this information within the confines of other laws and fear of being associated with leaked information. Even worse is that very few individuals and civil society organizations enjoy the benefits of this act because of they don’t know how and where to find the already published information, how to use them, limited knowledge on how to request access making follow ups, scope even the very existence of the act. In this view, KICTANet is holding a 1 day workshop on 31st January as part of this program to train the civil society on the Act. The training will cover 1. Information requests from public officers 2. How to make follow ups and 3. The scope of information they can access. 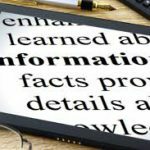 Introduction to Access to Information.